The Rose Electronics RE2-1R2X8U/2 is a 8-port multi-user/multi-platform KVM Switch which allows for 1 remote and 2 local users. UltraMatrix Remote2 represents the next generation in KVM switches. 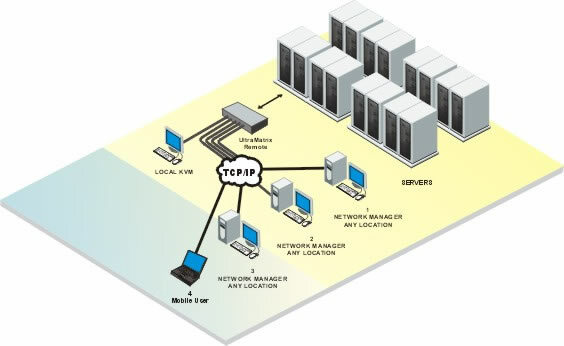 It not only provides a comprehensive solution for remote server console access, this access can be local or from any workstation on your network over IP. The UltraMatrix Remote2 switch can easily be expanded to other KVM switches to make a seamless and truly scalable KVM matrix switch.